The Palio, our namesake, is a celebrated Italian horserace that runs through Siena, Italy twice each year and is the inspiration for our robust food and spirits. Palio is not just a restaurant, it’s a way of life! Palio is bold, vibrant, and embodies the spirit of The Palio di Siena horse race. It is full of life, emotions and energy. The competitive nature of The Palio is emboldened in the spirit of our staff in their quest to be the best at creating a memorable dining experience for each of our guests. The flags strewn throughout the restaurant represent different contradas or neighborhoods in Italy and remind us of the lively and convivial cultural influences that come together in a festival of fun, food, and friendship. Very good veal parmesan. I enjoyed the Brussels sprouts as well. Service was good, fun spot for a date. Outstanding!! Service was great and food was so good!! Customer service was very good. And the pizza was delicious. Unfortunately Palio gets a number of walk in diners which of course means that the restaurant is not staffed fully. It is a wonderful neighbor venue and the manager Alan Hirsh is extremely accommodating. Reason I could Not recommend was the deafening noise level, raised ceilings, No Insulation, so loud we could not hear our waiter ! Food was OK, a little pricey, everything was a la carte, was not impressed that 4 pieces of garlic bread was $ 7.95, plus, eggplant parm is more expensive than chicken parm, a 1st ever for me. All in All, was expecting so much more, a great disappointment. 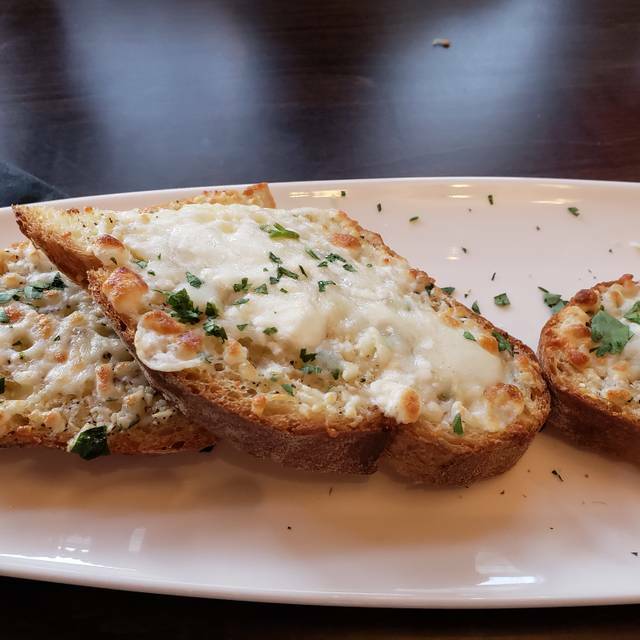 We've been going to Palio since it first opened several months ago. 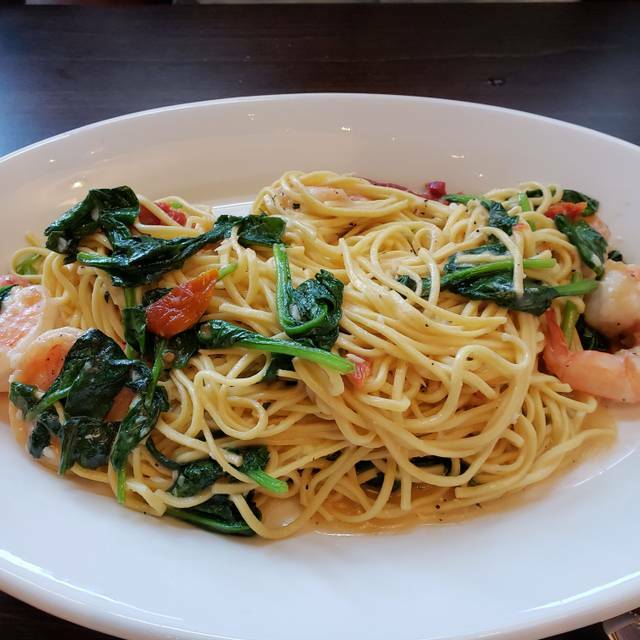 We're glad to see a nice restaurant in our area and we've enjoyed Palio up till now.Our recent visit, sadly, will be our last. We had the waitress from Hell. She wanted us to order within 3 minutes of sitting down.She came by and asked if we wanted cocktails. We told her we wanted a bottle of wine and asked if she would come back in a few minutes. Before she left, though, we asked for her favorites.The two most expensive bottles on the list were her favorites - always a tip off that the server knows nothing about wine and wants a bigger tip. When she did come back, we gave her our wine order and she immediately took out her pad to get our order. We had to warn her that we were dining not fast fooding. Apparently, she hasn't worked in a nice restaurant before and has a style better suited to TGIFriday's. I ordered the salad to start and my husband had the chowder. The salad and chowder came at the same time - brought by Ron, a different server. 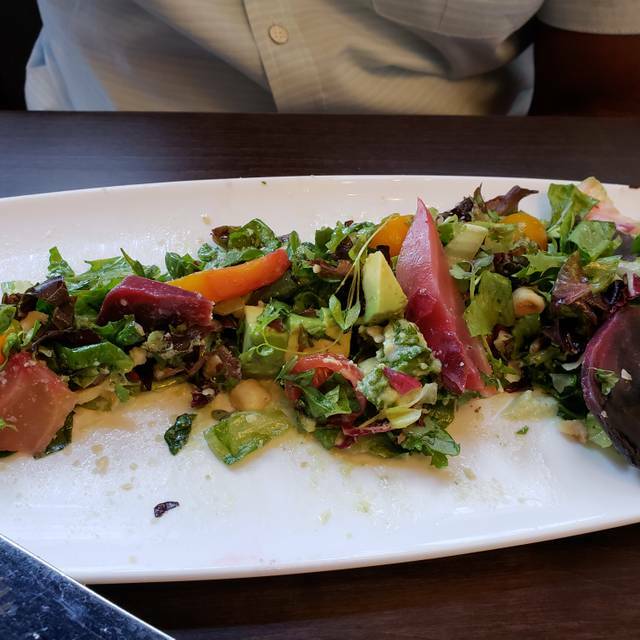 The salad looked pathetic with wilted lettuce and walnut crumbs instead of walnut pieces.Ron had also forgotten to bring the dressing on the side! When I told Ron that I had asked for dressing on the side, he told me he had to check with our server. This was a new one - he has to check about salad dressing on the side. That was the absolute lowest in customer service we've ever experienced. Meanwhile, it took at least 10 minutes for Ron to check with our server and bring salad dressing to our table, all the while my husband's chowder sat cooling. The manager of the restaurant was next to our table, engaged in serious conversation with what seemed to be friends of his. We tried to flag him but he was so engrossed in conversation for at least 20 minutes that he had no idea what was going on in the rest of the restaurant. Needless to say, this was a most unpleasant meal. The waitstaff is in dire need of training and the manager needs to focus on the restaurant. My family and I had a wonderful evening celebrating my husband's birthday. Our reserved table was ideally situated, and our server, Ronald P., provided excellent service. The food was great and arrived piping hot in ample portions. The attention offered to us by the manager, Charlette, was a delightful, unanticipated bonus. We will definitely return, and I already recommended Palio to two of my siblings. Thank you, Palio, for making a special occasion all the more special! 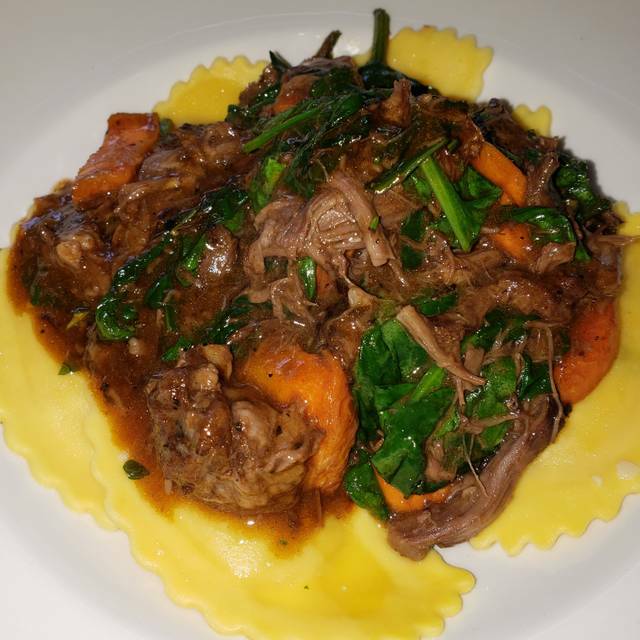 Whether we are grabbing a quick bite with the kids, meeting friends for drinks, or want a glass of wine and an intimate dinner...Palio never disappoints! Thanks for being consistently awesome, whatever we are in the mood for! Very good. The prices are about 20-30% higher for it to be a great value, but enjoyed. Had really great servers and service. 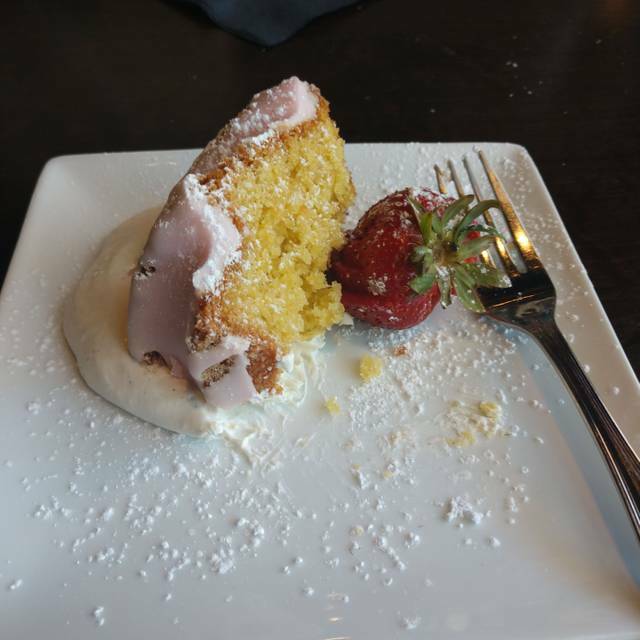 The strawberry limoncello is dangerously delicious! The appetizers were good- brussel sprouts and meatballs. However, the kale/chicken salad cost $14 and had rubbery pieces of chicken and hardly any kale. Luckily, we got appetizers before so we weren't that hungry. Also, there were literally 3 tables in the whole restaurant on a Wednesday at 6:30 p.m. They were all seated in the bar and not one table in the actual restaurant. The waitress apologized 2 times for ignoring us because of a big party. They looked like food critics (the manager was falling all over them and they were taking tons of Instagram pictures) We got the happy hour prices for the appetizers and wine. Luckily the total bill was only $30. Their food is overpriced and underwhelming. I guarantee they won't last very long! Palio has gotten more popular. Typically, we have been seated quickly but this time had to wait 15 minutes past our reservation time. Also, while our server was great, the service was slow (15 after ordering a bottle of wine to have it delivered). I suspect most of this is related to growing pains as the food remains really good. Even better the second time! We had dinner at Palio right after it opened and loved the food and ambiance. Last night was our second visit and it was even better. The menu has changed and offers more choices. My husband started with the sautéed calamari and I had the insalata di case. Both were tasty. The calamari was surrounded by vegetables and the salad had a wonderful white Balsamic dressing with raisins and nuts. I had the linguine with clams and my husband had the veal parmigiana. Both were excellent. The dishes were large so we had no room for dessert. The wine list is varied with good wines at very reasonable prices. All in all, a fabulous time. The food was really good. The service was not good - primarily because the manager gave our waitress 3 new tables at the same time. So in addition to the tables she already had, she had to try to take on 3 new tables. It took us 1 hour and 15 minutes to get our dinners. Had Dinner Reservation for this Past Friday Evening! Had read a review and wanted to Dine There!!! Meal, Service, Ambiance , truly Outstanding!! Our Waiter , Jason, was attentive in every way to our Order Requests and our Meal was served Perfectly. My Veal Parm. was one of the Best I have had in the area. The Pasta was served Dry, and Sauce had hunks of Fresh Tomatoes, which I Love, and The Bread Crumbs had a Hint of Garlic, which sealed the Deal. A Dinner Salad and Fresh Bread , along with a Wonderful Bloody Mary, clinched the Deal. Even a Choice Dessert and Coffee , made for a perfect dining experience. I was celebrating my girlfriend’s retirement. Had a delightful wait staff. Appreciated the manager stopping by the table Food was delicious Can’t wait to bring my husband for date night! Good food with large portions. Always enough to take home for a second meal. Everything was great! 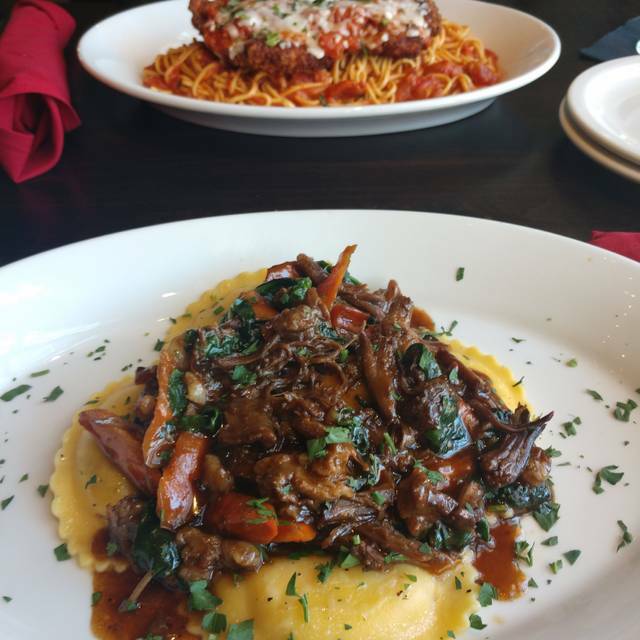 Service was great, food was delicious, and overall loved the evening spent at Palio. It was our first time going. We had a reservation but chose to sit at the bar. The drinks and food were great. We look forward to going again. The fine place where we celebrated Valentine's Day. Food was great and the server was so nice. Antipasti were tasty and look attractive. Chicken Marsala and Veal Marsala were prepared perfectly. Finally, we had a bonus of Limoncello drinks from the owner. We like that new place and recommend to other people for any occasions. Dined here on Valentine’s Day and enjoyed the experience. Service was friendly and efficient, and the food was very good. The lobster ravioli front the V-Day menu was especially tasty! I was also happy to see the brick oven pizza was cooked properly so the crust was not soggy in the middle. Some bread on the table would be a nice addition. Nice place with good service. Menu is a little pricey. Food quality was good (not exceptional but no negatives). Had a wonderful meal and a 5 star experience from beginning to end! Food is good. Pricey. Ordered the entree but unlike other places, it does not have any sides. Also no bread. That is an extra as well. We had a problem with a pizza but the new manager was so efficient, helpful and friendly that we still had an enjoyable meal and evening. His presence definitely improved the restaurant all around. First time visit. We were greeted enthusiastically at the desk, and seated in a very comfortable booth. Our server, Sky, is bubbly, funny, and knows her stuff...great recommendations, which we ordered. Checked on us several times, each time ending up in another conversation. When we noted to her that the Valentines Day menu looked terrific, she said she was going to bring her parents in for that especially for the lobster ravioli. When we told her that it was my wife's birthday, she let us know that the restaurant gives the table a discount, rather than a dessert, or something like that. She recommended the desserts, one being house made gelato, and the other a lemon bar. Both delicious. Recommend this restaurant very highly, for hitting all the high points. Especially if it's your birthday. 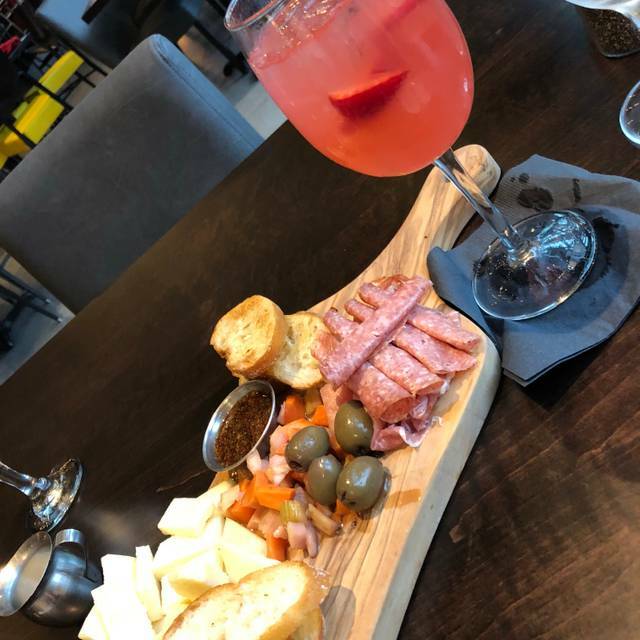 My wife and I tried Palio for the first time last Saturday night. From the moment we walked through the door I was impressed with how friendly and inviting a restaurant it was. We were greeted by Alan Hirsch the general manager who was very friendly and welcoming. Our table was waiting for us and Alan escorted us to our table. I was also impressed when Alan offered us a printed menu or an electronic version on a tablet. Once seated we were immediately greeted by our waitress who brought us our drink order within minutes. I would like to point out that this was the first time I've ever seen a restaurant that offered wine in a 5 or 8 oz portion and of course by the bottle. 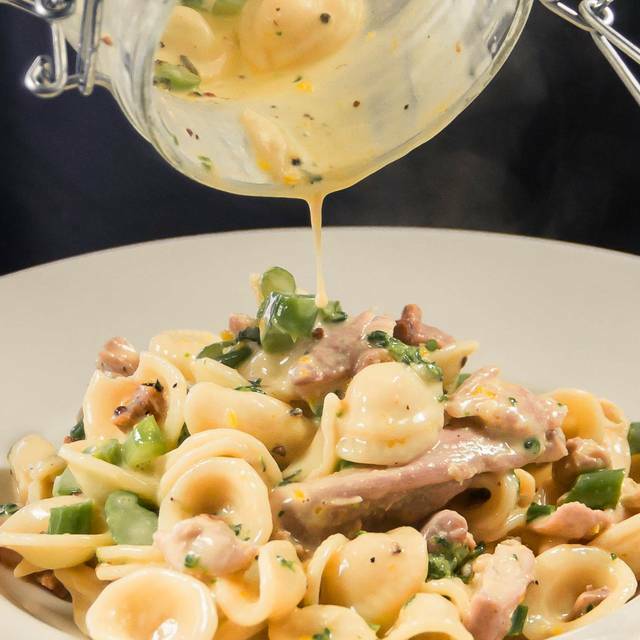 The menu offerings are exceptional with selections to please any fan of Italian food. My wife ordered Eggplant Parmigiana and I had the Chicken Marsala. The portions are large and cooked to perfection and brought to your table nice and hot by additional wait staff. Our waitress made several trips to our table during our meal to make sure that everything was to our liking. When we finished our meal the general manager came back to our table to make sure we were happy with Palio and to inquire about our experience that evening. I assured my Hirsch that we would back and that we would be telling our friends and family to make sure to give Palio a try. If you like or love Italian food then you'll have to make a reservation and give this place a try. 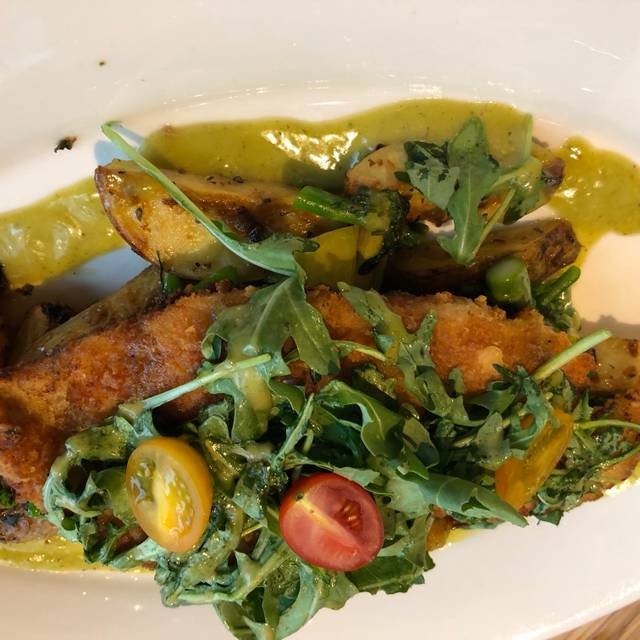 Everything on the menu is moderately priced and the quality of the food is superior, so I would consider Palio a great value. When we got up to leave I was able to catch Mr. Hirsch's ear and we told him that we found our new favorite restaurant. Great evening, thank you Mr. Hirsch and Palio. We went there because we cancelled a reservation elsewhere because of snow and since this was close by we thought we would try it. We were very surprised, the food was very good and the service was excellent. Our waiter Nat was outstanding. Since it was snowing we thought it would be empty but soon after we arrived it filled up. We will be going back again. Looking forward to promises Gluten Free pizza! Service was sporadic. Started off ok then couldn’t find the server. When customer brings in cake they should not ask if it’s a surprise or bring out plates first. Just light candles and bring out cake as a surprise. Do not bring out and light candles in front of Birthday recipient. Took way too long for this process. There were 2 servers for table of 6. Should have been better service. They were standing near kitchen together while we were waiting for service. This was a friends dinner, and the first time any of us had eaten here. Everyone liked their food -- the portions were very generous. I had the shrimp and pasta and thought it was on the greasy side with an extraordinary amount of garlic however. My husband and I split the house salad which was very tasty. I liked the fact that there were 5 oz. sizes of the wines by the glass. We had no room left for dessert. Kudos to the staff, everyone was very attentive. It was quiet but that was probably because the restaurant about a quarter full.